Detox and Shungite: Will it blend? Modern life has brought us so many advantages over our predecessors: we have unlimited access to information through the Internet, the advances in medicine are through the roof and we were never closer to leading comfortable and enjoyable life in the cities we live in. But with all these advantages the shortcomings of the modern age are also evident: a vast environmental pollution, technological wastes and larger strain on our bodies. A lot of actions in our routine can affect our bodies negatively and leave harmful residue, which I general are called toxins. These toxins may be a byproduct of the activities we might consider healthy: consuming food, walking in the park, washing our clothes, applying makeup and taking pills. Our environment and products we consume contain a fair amount of them (however, some contain an uncontrolled amount of it) and it is just the normal state of a human body to have a substantial amount of toxins in it. Nevertheless, if left unchecked these toxins may have a harmful effect on our health in long-term, so from time to time we should do a cleaning of our body to keep the toxins contained or get rid of them overall. 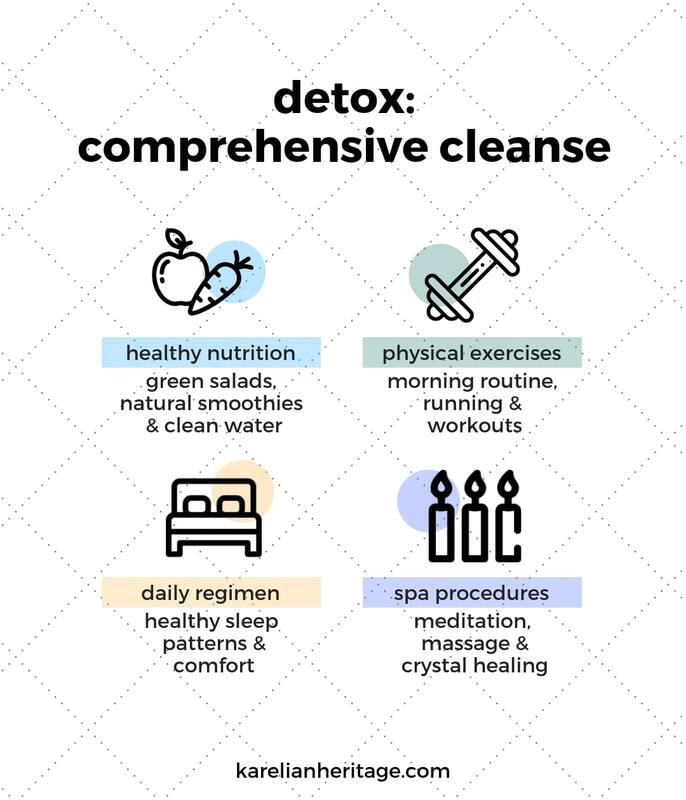 The process of this cleaning nowadays is generally called “detox” and it effectiveness has found its way to the techniques of a lot of life coaches and celebrity influencers. Healthy nutrition. The first thing that comes to mind when talking about detox is the thoughtful food consumption. Here the main focus lies on eating more natural food than manufactured and overproduced food, getting rid of bad habits like smoking and drinking and consuming more fluids. Some food and drinks are highly beneficial for the detox process, for example, natural smoothies, fresh juices, green salads, cream-soups, beans and cereals, clean water and herbal tea. Other products, on the other hand, are very harmful and toxic and it is advised to substantially limit its consumption, if not eliminate it at all. The examples are over sugary food, wheat flour products, fast food, sodas, fried and fatty food, potatoes, bananas and coffee. These products leave a lot of unwanted elements in or bodies that can have negative long-term effect. After all, we are what we eat. Physical exercises. Somewhat of a catalyst to a proper functioning of a healthy diet, physical exercises keep your metabolism pumping and make way to all of this nutritious food to create a toxin-free environment in your body. It can be light morning routine, running, hiking or heavy workout at the gym, you name it. Just remember to keep the amount your exercises connected to your diet. If you’ll limit your food consumption without recalibrating your workout routine accordingly it will have a huge strain on your body. You will just exhaust yourself with no positive effect. Correct sleep patterns. This one’s pretty simple: have a regime and a comfortable amount of sleep. Basically, a healthy human being should have 6-8 hours of sleep every day at the same time. Sleep also has a large effect on our metabolism, so sleep disorders if left unchecked will mess with all of our heavy work in nutrition and exercises departments. Spa procedures. This component is, of course, optional, since it requires large financial investments. However, it is worth every penny and the culture of detox retreats has proved its efficiency over and over again. In these places everything plays into your hands: special diets, fresh air (and often, fresh mountain air), hiking, yoga, meditation, exercising, dancing, massage, and of course, spa procedures. The majority of these retreats are situated in the most scenic places in the word, so you can combine traveling, pleasure and great benefits for your body. What do I get from detox? Naturally, the results of detox may vary depending on how you approach it and what you personally want to achieve. But to sum up, your healthy diet and exercising will result in weight loss and strengthening of your immune system. The regular consumption of vitamins and active elements will help you get rid of allergies and various ailments, for example skin diseases. People who went through detox generally appear to have healthier skin tone and younger skin condition. Creating healthy metabolism will treat a number of issues of digestive system and boost your energy level. And finally, leading a healthy lifestyle provides you with a healthier mind. Your mental and emotional state will be enhanced which will certainly help with your everyday routine and interpersonal relations. How do I approach detox properly? The best way to start detox is in small steps. It is advised to gradually change your diet from your current one to what can be considered a detox diet, since if you will turn your life around in one single moment your body can simply rebel against these drastic measures and your detox will end without even starting. And you should listen to your body carefully. Sometimes it is better to leave some things in your diet untouched and look for changes elsewhere rather than force yourself. The best time to start detox is at the beginning of spring or fall. These are the times when our organism starts its own mechanisms of cleaning and we will work in synergy with our natural processes. And if you are dead set on going through with detox you should be sure that nothing in your life will divert you from your path, like countless trips to restaurants and diners with your friends or unhealthy diets of your cohabitants. So plan your detox accordingly, maybe during vacations or holidays. And don’t forget to get out from detox from time to time to determine if this is a lifestyle that suits you and change it according to your needs and wants. 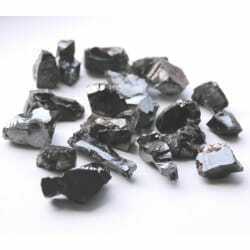 As you know, shungite water has a number of healing properties that can greatly improve your health. 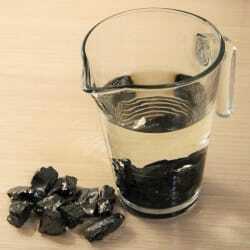 So, we at Karelian Heritage advise in favor of using shungite water drinks during a detox process. 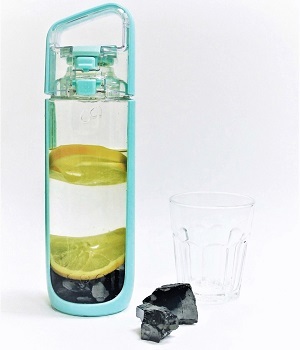 Even on its own shungite water has a detoxification effect on the organism, as it is mineralized and energized by shungite as well as rich with antioxidants. However, for the best effects, you should combine it with other nutritious products that can help you with your metabolism and detox. You can mix shungite water with fruits, for example, oranges, pineapple, limes, lemons; vegetables like cucumbers; other drinks, like apple cider, green tea; herbs, e.g. aloe, mint, dandelion roots; and berries like strawberries, cranberries, blueberries, raspberries and watermelons. Basically, keep in mind your own tastes and act accordingly. Your shungite water detox drink can be based on your favorite cocktails, drinks your parents used to give you in childhood or on your favorite tea taste. The natural products you will put in your shungite water will give every vitamin and active element it possess to you to enhance your detox experience along with being of awesome taste. Experiment and try new taste with your personally favorite natural tastes to create your ow unique shungite water detox drink. Shungite water will fuse it all together to give you the best the nature has to offer. Through it, your detox will get a new edge to it and will keep you healthy and toxin-free. 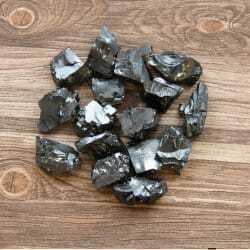 Buy Shungite water and give yourself a new push towards long and healthy life!